Corneal irregularities vary widely among LASIK patients. 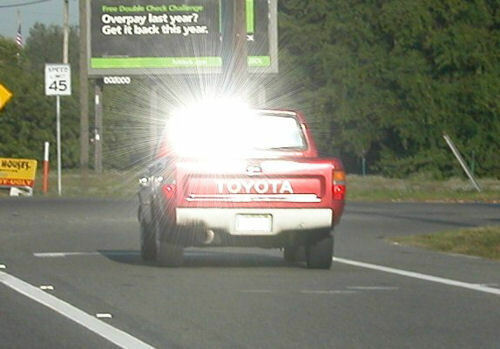 Consequently, visual aberrations reported by LASIK patients also vary widely. 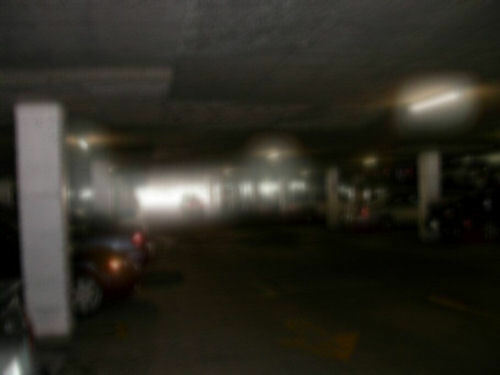 Patients may complain of blurry vision, ghost images, starbursts, smeared vision, halos around lights or illuminated objects, and loss of contrast sensitivity (inability to distinguish detail in dim light). Glasses and soft contact lenses cannot correct these aberrations. Some LASIK patients compare their vision to wearing dirty, uncomfortable contact lenses of the wrong power that are permanently stuck to their eyes. 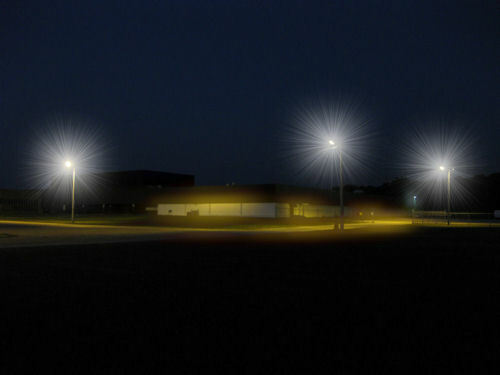 Even a patient who is declared a success by the operating surgeon may experience visual disturbances, to some degree, like the ones illustrated below. 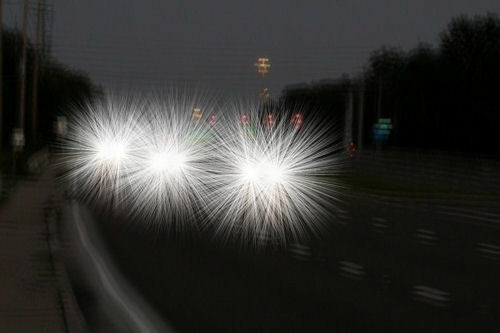 Patients with visual disturbances after LASIK may use the vision simulators to communicate their vision to friends, family, physicians, and attorneys. Go to the vision simulators. Patients who experience visual disturbances or other complications after LASIK should file a MedWatch report with the FDA. You may also call FDA at 1-800-FDA-1088 to report by telephone, or download a copy of the paper form and either fax it to 1-800-FDA-0178 or mail it using the postage-paid addressed form. Read a sample of LASIK injury reports currently on file with the FDA.